Are you serious? Actually learning to cook on a stag do?! Yup. When the Brighton cooking class was first punted as an idea (Charlie the stag loves his cooking at home), there were a few eyebrows raised. However, feedback after the event was it was a great way to clear the hangover on a Sunday morning on the back end of the stag do. 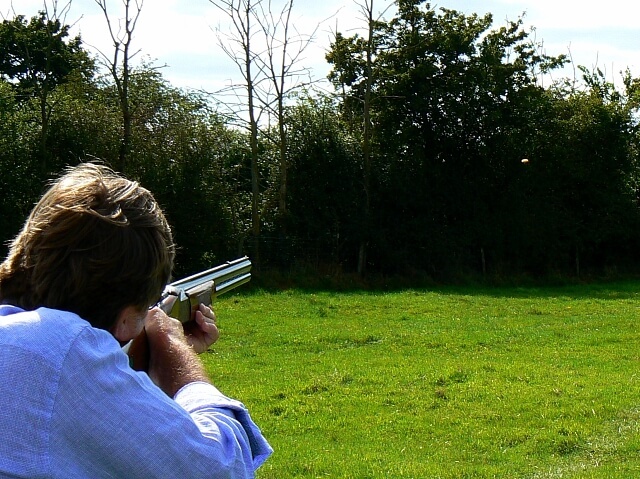 And we did do clay pigeon shooting on the Saturday to make the stag weekend slightly more masculine! About 6 weeks before the weekend, I googled for cookery schools in Brighton, and initially found Jamie Oliver’s Recipease. However, they took 2 weeks to get back to my email enquiry, so that didn’t give me a good feeling. I also tried 2 other cookery schools, but because it was 4 weeks and counting, they couldn’t fit us in. Eventually, I booked with Ben at the Brighton Cookery School. He couldn’t squeeze us in on a Saturday, so we went for 11am to 1pm on the Sunday. He initially came back with a £70 4-hour cookery class option, which seemed too much/too long for our stag group. After talking it through, we went for a 2 hour pasta making class at £40 each for a group of 8. The school looked just a little way through Kemp Town, but in the end took a good 45 minutes from our central apartment, and we were 10 minutes late. This was not a problem, but it might have been better to just grab a taxi. Once we arrived, we were offered a tea/coffee, washed hands, then put name badges and aprons on. (Messa) Ben owns the school with his partner, and instantly got the feel of the group and who the stag was, etc. We first started with making a chocolate torte as a group, taking it turns to do various things. If you’re wondering what a torte is, it’s a cake without flour. There was good banter going round, but the guys were also asking lots of questions about the cooking. Once that was done and ready for the oven, we were shown the bolognese sauce which was cooking, and how to make it. A good sauce takes 3-4 hours to make to properly break down the meat and produce the flavours. Hence it was already prepared as we couldn’t have prepared and made it in the time available. We then started on the pasta making, with everyone having their own pasta maker, with a bowl of flour and an egg by the side of it. We slowly mixed the egg and flour together, before working it into a dough ball. From there, we learnt how to work the pasta in the pasta maker to make it elastic. We then run the pasta sheet through the tagiatelle extension, and then hung the pasta out to dry on the “pasta” dryer (clothes dryer). During the class, we’d been offered some wine, beer and soft drinks. Afterwards, we then chatted while the lunch table was set up and food was finally cooked and served. We then sat down and enjoyed the food we’d made, with a glass of wine or two. The tagiatelle with the sauce was fantastic, and the chocolate torte so delicate and rich. After lunch, we said our goodbyes, and made our way back to the apartment to pick up bags and get home. Cooking Class in Brighton – Good or Bad Idea for Stag? I’d had my reservations about booking at the end of the stag do because I thought it might be too much after 2 big nights out. However, it was very gentle and almost therapeutic being able to prepare and cook something. It was also a great way of rounding off the stag do. Charlie the stag also really enjoyed it, and some of us have since tried the recipes at home (they emailed the recipes the following week). £40 for a 2 hour class, then a great lunch with some wine or beer seemed pretty good value for money for the guys as well.